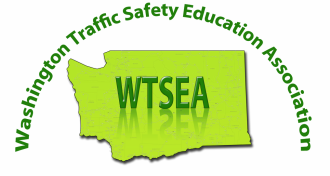 In Washington, two sets of laws govern Traffic Safety Education (TSE) programs: Those passed by the Legislature, and those passed by the agency responsible for administration and oversight of TSE programs. The Legislature passes laws that come to us first as bills in the House of Representatives or the Senate. When a bill passes, and is signed by the governor, it becomes official law as part of the Revised Code of Washington (RCW). Once a law is passed, it is assigned to an agency, which then creates rules to implement the law. These rules, once approved, become effective as law in the Washington Administrative Code (WAC). The rules are created and approved by the agency. Legislators and the governor are not involved in the process. Traffic Safety Education courses taught in the public schools are administered by the Office of the Superintendent of Public Instruction (OSPI). TSE courses taught in commercial driver training schools are administered by the Department of Licensing (DOL).